Coming from a family that is deeply passionate about Italian food and having worked in a few Italian restaurants myself, I feel as though I have a decent sense of the cuisine. That said, I was completely blown away by my experience at Ascari Enoteca. Ascari is situated at Queen East and Pape in Leslieville, a neighbourhood that is rapidly evolving into a worthy epicurean up and comer. 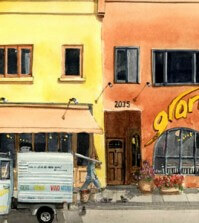 The restaurant is quaint – it seats about 40 people and is beautifully lit and minimally decorated. 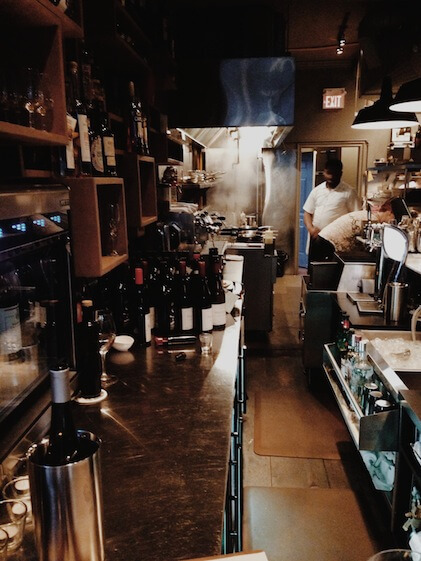 With a stainless steel and marble bar, and an open concept industrial-style kitchen, the layout is as unpretentious, mature and cool as the atmosphere. We sat down and started our meal with a bottle of Cave Spring Chardonnay, as recommended by our effervescent server, Nadya. 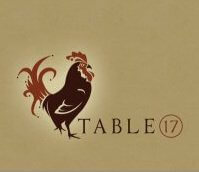 The restaurant boasts an impressive wine collection (half priced bottles every second Monday!) that is wonderfully curated in honour of the restaurants namesake, Alberto Ascari, an Italian racing legend with an appetite for great food and wine. The service was delivered with great alacrity and all of the restaurants employees, including executive chef John Sinopoli, were incredibly friendly and obliging. After sharing a glass of wine, my date and I consulted Nadya about her favourite appetizers and she pointed us in the direction of two rich and savoury dishes. 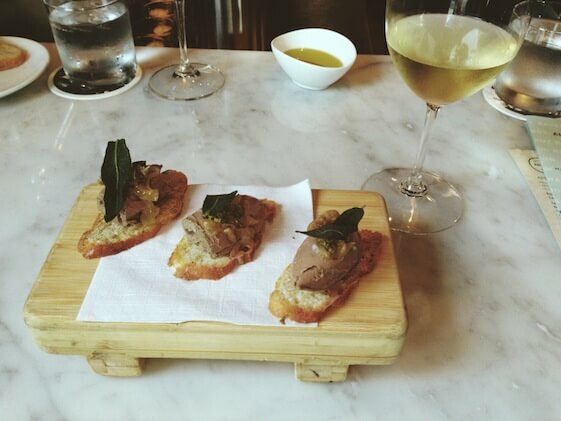 First, we tried the Crostini alla Toscana, which incorporated a bold, creamy chicken liver mousse with capers, onions and sage on a slice of toasted ciabbata. 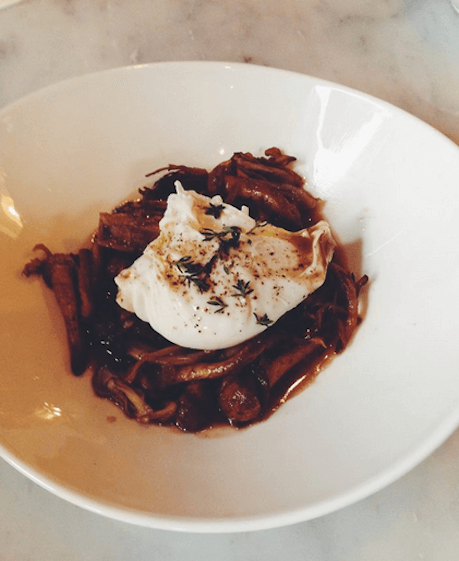 Next we were instructed to try the Funghi in Padella, a plate that features crispy hen of the woods mushrooms in a mushroom jus that requires four hours to reduce. The dish was topped with a perfectly poached egg and seasoned with thyme. The result was a full-bodied, aromatic flavour that was well rounded by the subtle taste of egg yoke. Basically, it was insanely good. We would have ordered three more of these if we didn’t think that more amazing food was coming. After a great chat with the incredibly genial executive chef and partner, John Sinopoli, we learned that Ascari’s primary passion is pasta. He informed us that all of their pasta is made by hand, costing more time and money but with valuable results. The noodles are more tender and unique in their shape and flavour. Having tried my hand at home making pasta before, I can say with certainty that the chefs at Ascari have really perfected the art. Essentially, mine turned into uneven, doughy disasters… while theirs were thick, tender and effortlessly consistent. 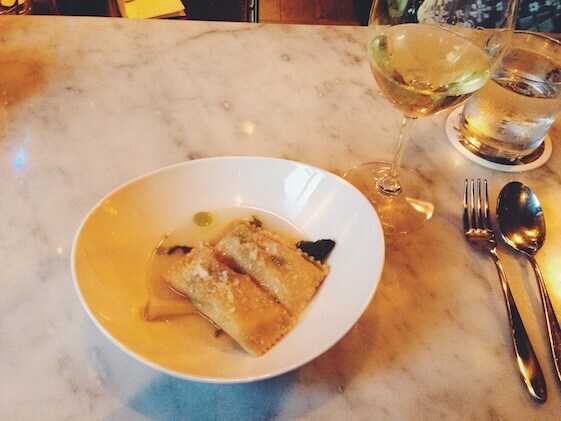 We decided on the Agnolotti de Cavelfiore, which is filled with cauliflower and escarole and served in a leek and parmagiano broth, and an Italian staple, the carbonara. We had these split into two portions each and served separately to get a full sense of each dish. It was a great choice for sharing, as both plates are sizeable. The agnolotti was lovely and the broth it was served in was complex, light and sweet, making it a great summery meal. 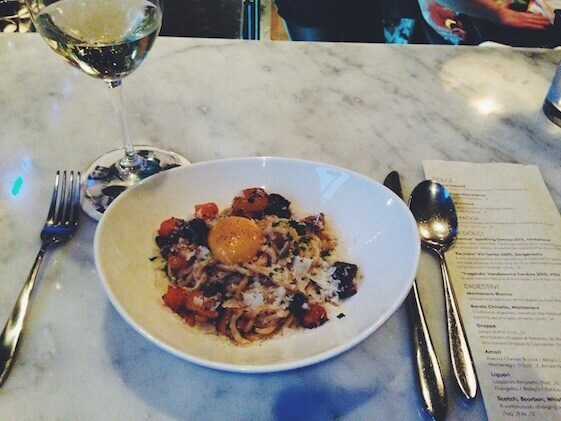 The carbonara was more robust and indulgent, topped with cured pork cheek, butternut squash and an egg yolk; it was an exceptional take on the well-loved classic. As the night wore on the restaurant filled with a lively crowd and an in house dj started spinning some great ambient beats at about 9pm. Reluctant as we were for the night to end, Nadya brought us a desert menu and suggested we try two of the restaurants specialties: the seasonal zeppole, a deep fried dough which tonight was made with banana, and their signature mascarpone cannoli which is infused with dulce de leche. 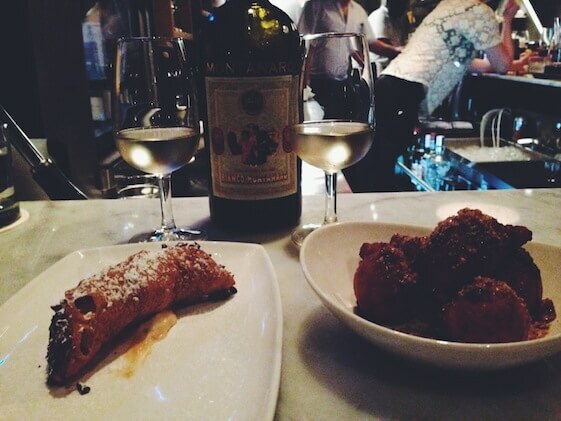 Both were wonderful, but the traditional Italian cannoli with a twist stole our hearts. We washed them down with a spicy, sweet digestivo recommended by the house.